The IX Series is a network-based communication and security system featuring video entry security, internal communication, emergency stations, and paging. Learn more here. Today’s technology allows intercom systems to provide more complex call routing, handle multiple call stations at once, and divert calls to different locations based on a schedule. SES offers a wide variety of options allowing you to tailor the system to your specific needs. Select Engineering Systems integrates with most card access systems. When a business starts looking for commercial intercom solutions, what they usually want is a way to securely monitor who is at the door prior to letting them enter their space. This gives them the piece of mind that the door is secure until someone verifies who the visitor is and allows them to gain access. These systems are in vestibules and other doors where someone needs to be let in remotely. Schools use these systems to make the decision to let someone enter the office space and create a safe environment for their employees. Entry systems are used in high rises and muli-tenant buildings to safely allow tenants to let a visitor in the building remotely. Allows security teams to keep those on the property safe by monitoring and restricting access to unauthorized persons. Allows tenants of residential and commercial buildings to provide access to visitors without needing to be physically present. 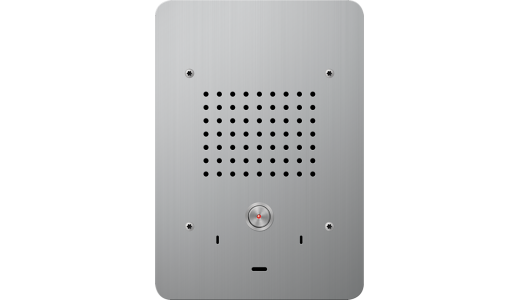 When using a video intercom the person answering can not only talk to the person, they can identify them by seeing who is at the door. Of the many intercom solutions available, Floyd Total Security provides three main options for you to choose from. These include Aiphone, ICT, and Select Engineering Systems. Let’s take a look at all three to see which ones may be best for different needs and business types. Aiphone is widely considered the most dependable security communications brand in the world. At Floyd Total Security, we currently use the Aiphone’s many offerings to tailor the right solution for the situation. Intercom installation is easy and doesn’t require complex setups with dedicated servers. There are no licensing fees or other recurring costs associated with Aiphone, making it a cost-effective option. Flexible and scalable for any organizational size. The easy installation and cost-effective options make this the best option for companies and organizations with a small budget, but who need the flexibility. These might include gas stations, convenient stores open late, or even your local, 24-hour Subway. This is also an excellent tool for businesses that may own several buildings along the same block or multiple floors in one high-rise building. ICT is another well-known brand of commercial entry system in the world market. The company focuses on making integrated solutions to manage access control and security. However, it also focuses on audio-communication. Offers remote access control for gates and doors. Some models include touchscreen displays with varying levels of brightness. Provides access to the monitoring system via mobile app. 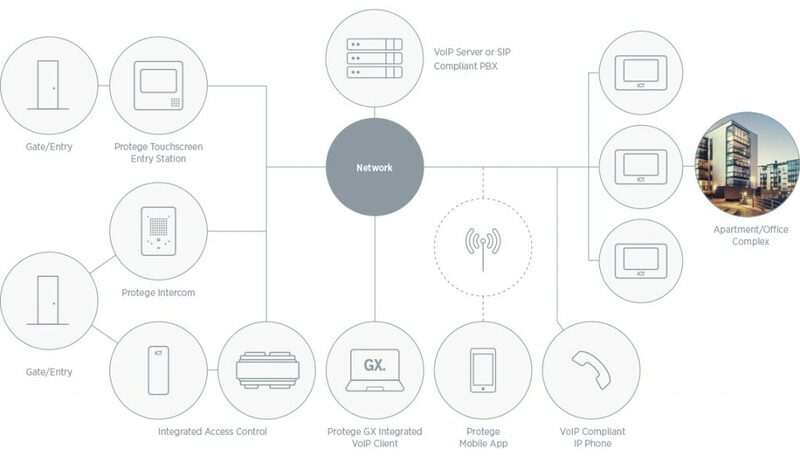 VoIP compliance allows multiple calls to be taken at once and for them to be routed to another location if they are not answered. ICT has won several government contracts over the years, making them ideal for any organization with similar privacy and security needs as government agencies. These might include security consultancy firms, insurance companies, and research facilities. Ideal for high-end gated condos and apartment complexes where tenants prefer to see their guests before letting them in, just as they would be able to with a sophisticated home security system. Select Engineering Solutions (SES) is a company that specializes in the manufacturing of entry systems. Provides card readers, which is ideal for environments where authorized access only is especially important. The company’s TEC2 system provides telephone entry devices with options for multiple lines. Like ICT, it is ideal for gated condos and apartment complexes that require visitors to dial an extension if trying to get in when the tenant is not at home. Buildings with parking decks or deserted parking lots that may pose a risk to patrons, especially after dark. 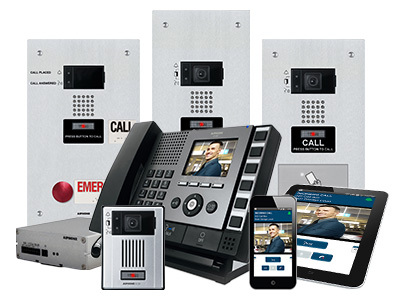 Each of these systems provides excellent commercial intercom solutions. Though some are generally better suited to some organization types than others, the best system for you ultimately depends on the special individual needs of your business. Contact Floyd Total Security to schedule a consultation. We will assess your needs and create the custom plan that best complements your business.